Mahindra Mojo UT300 Launched In India: What's New? Mahindra Mojo UT300 Launched In India: How Is It Different From the Standard Mojo XT300? Mahindra has launched a cheaper iteration of the Mojo tourer motorcycle in India. The Mahindra Mojo UT300 offers the same driving dynamics of the standard Mojo but at an affordable price. It misses out on some features though. Mahindra has today launched the Mojo UT300 in India. This is a slightly cheaper version of the existing Mojo XT300. The new Mahindra Mojo UT300 gets the same styling as the standard Mojo. Here the UT stands for “Universal Tourer”. That said, it misses out on certain features, the reason why it is cheaper than the standard XT300. The UT300 variant puts the Mojo in a better position to compete against its rivals. The Mojo primarily pitches against the likes of Bajaj Dominar 400. Mahindra has launched the Mojo UT300 at a price of INR 1.49 Lakh (ex-showroom). In comparison, the standard Mojo XT300 costs INR 1.74 Lakh to own. To woo customers, Mahindra is offering an introductory benefit of INR 10,000 on the Mojo, this effectively brings the bike’s cost to INR 1.39 Lakh. This offer is valid until March 31st. Not only this, existing Mojo owners, who refer someone to buy a Mojo will get free accessories worth INR 4,000. 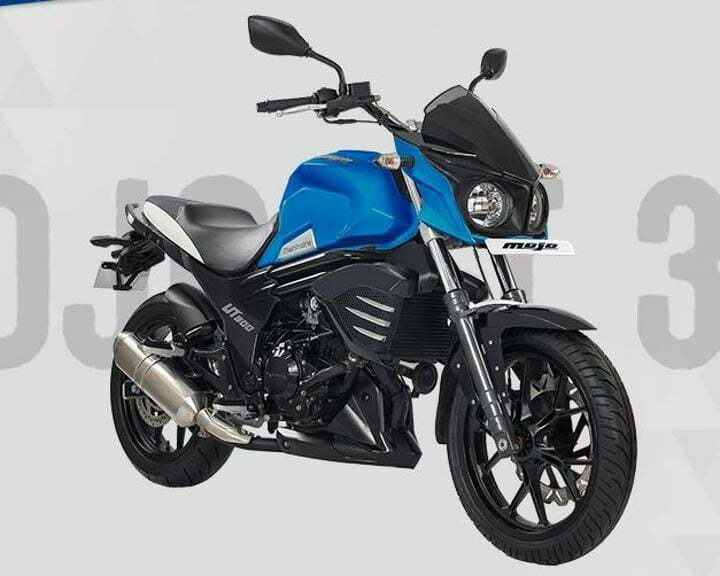 As far as the engine specification is concerned, the Mojo UT300 is identical to the XT300. It gets the same 295cc, single cylinder motor. That said, it misses out of the fuel-injection technology and uses a carburettor instead. As a result of this, expect a minor dip in performance figures. The standard Mojo’s motor, with the fuel injection technology, produces 27 BHP along with 30 NM of peak torque. 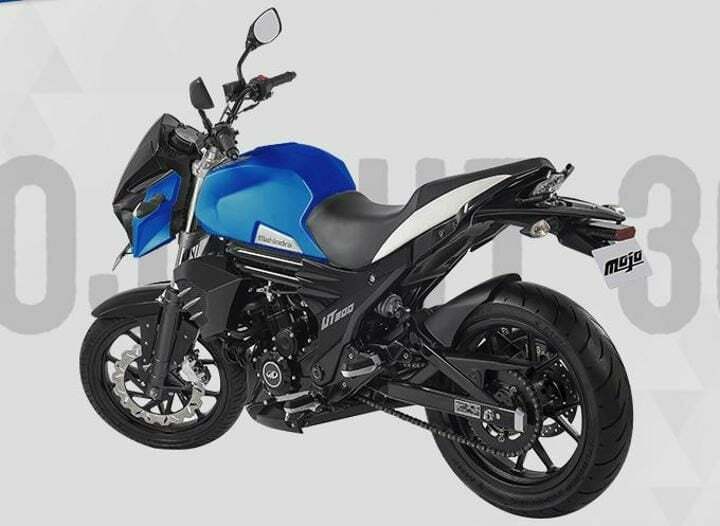 Apart from the fuel-injection technology, the UT300 also misses out on front USD suspension unit and comes with the conventional front forks. The Mojo UT300 comes with all the features which the standard Mojo XT300 gets. That said, it misses out on Mojo’s characteristic twin exhausts. Instead, it comes with a single-unit setup. The cheaper tourer also skips the LED daytime running light strip up-front. What it does get are 320 mm petal disc brakes at the front along with 17-inch tubeless tyres. That said, the Pirelli rubber has given way to MRF Tyres. Also, the UT300 does not get the gold-coloured accents. Mahindra Mojo UT300: Should you buy it? Why not? If you are looking for a comfortable tourer which offers decent performance along with looks, the Mojo UT300 is a perfect choice. The cheaper price tag helps the cause. That said, you are bound to feel understated and draw comparisons when an XT300 pulls-up next to you on a red-light.